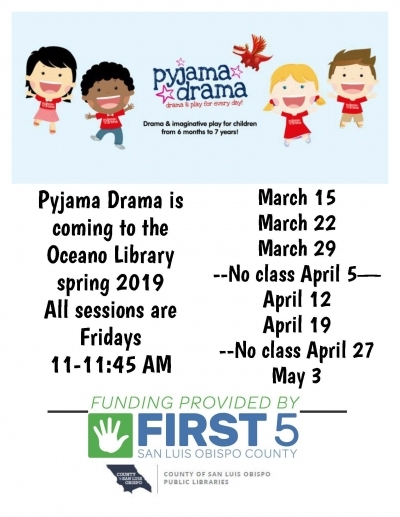 We're excited to help sponsor a fun opportunity for families at the Oceano Library this Spring! Right in line with Talk.Read.Sing. Runs Fridays from 11-11:45am, March through May-- see the flyer for specific dates.